With a population of around 17,000, Nantwich is a market town in Cheshire. There are some lovely properties in the area, which has a variety of housing to suit a wide range of tastes and budgets. At My Home Move Conveyancing we’ve been developing our knowledge of property markets like the one in Nantwich since 2001, allowing us to bring our clients in the town an outstanding, specialist conveyancing service. When buying or selling property in Nantwich, you’ll have to instruct property lawyers to carry out the legal work on your behalf. 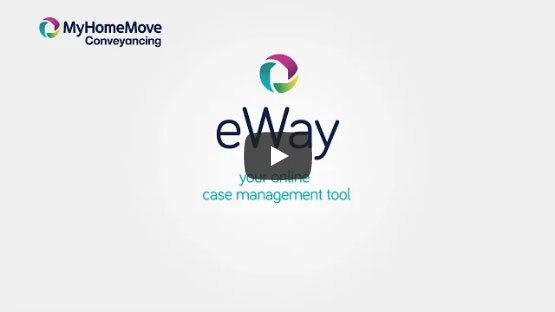 At My Home Move Conveyancing we’ve revolutionised the customer experience you’ll receive by combining innovative technology with unrivalled expertise and exceptional customer care. Choose us as your Nantwich conveyancers and you’ll enjoy our award winning, market-leading service which has no extra hidden costs. What’s more, thanks to our ‘no completion – no fee’ policy, if you don’t end up moving for some reason, you won’t have to pay us a thing in legal fees. We assign a dedicated conveyancer to each of our clients, who’ll look after your case from start to finish. You’ll have regular updates on your progress, as well as online access to your account. At My Home Move Conveyancing, we bring a positive approach to everything we do, and pride ourselves on getting things right first time round. We provide our conveyancing services in Nantwich to homebuyers across the area, from those looking to be in the town centre, near the train station, or by the Barony Park sports complex. The average house price in Cheshire East is £208,229, while in Nantwich the overall average sale price was £223,501 during the past 12 months. Most sales involved detached homes, which went for an average of £321,451, while terraces fetched £181,714 and semis £203,728. Nantwich’s history dates back to Roman times, when local salt was used at garrisons in Chester and Stoke. This salt continued to be an important part of the town’s heritage for many centuries to come, peaking in the middle of the 16th century when there was around 400 salt houses in the area. The modern town retains a charming feel thanks to an array of attractive historic buildings, but still has all the amenities you’ll need. Nantwich is only four miles away from Crewe and 20 miles from Chester, and has its own train station. It’s just ten minutes to get to Crewe, while it’s around 40 minutes to Chester by rail. You can also get to the city via the A51 road, while the A500 heads east towards the M6 motorway. When you want to go on holiday, both Manchester and Liverpool John Lennon Airport are under 40 miles from Nantwich. There’s a selection of highly rated schools in the local area for families with children to consider, including St Anne’s Catholic Primary, Highfields Community Primary and Acton CofE. At secondary level, you have the choice between Brine Leas School and Malbank School, both of which have sixth forms attached. All properties in Nantwich will fall within one of the following council tax bands.